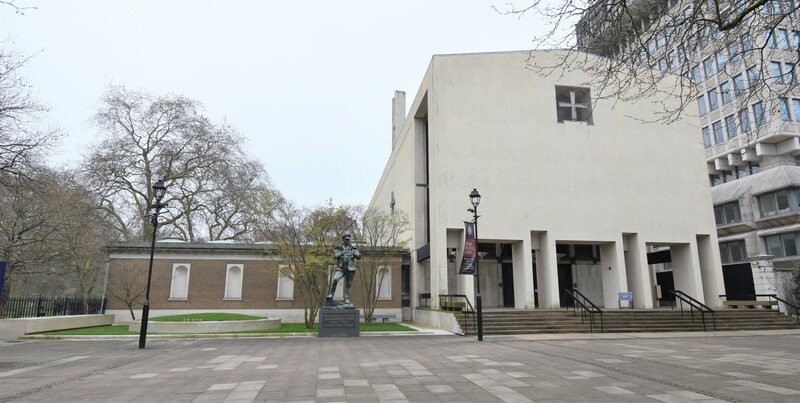 The Royal Military Chapel, or the Guards' Chapel as it is more generally known, stands in Birdcage Walk on the south side of St. James's Park and is the spiritual home of the Household Division. The present chapel was built in 1963 but rose from the ashes of the original chapel, destroyed by a flying bomb on 18th June 1944. The chapel's origins go back to the construction of Wellington Barracks in 1834 when a site was allocated at its east end for a place of worship, thanks to the persistence of Dr. William Dakins, Precenter at Westminster Abbey and Chaplain to the Brigade of Guards, who managed to convince the authorities of the need. The first service took place on 6th May 1838 but the interior was very plain and it was to be some years before improvements began in a rather interesting manner. In 1850 a small committee of officers and their friends put up a block of tenements in the nearby Francis Street and made them available at very cheap rents to married soldiers with families, who would otherwise be living in squalid conditions in the barracks. It was a success until someone pointed out that it was illegal for officers to rent accommodation to soldiers. 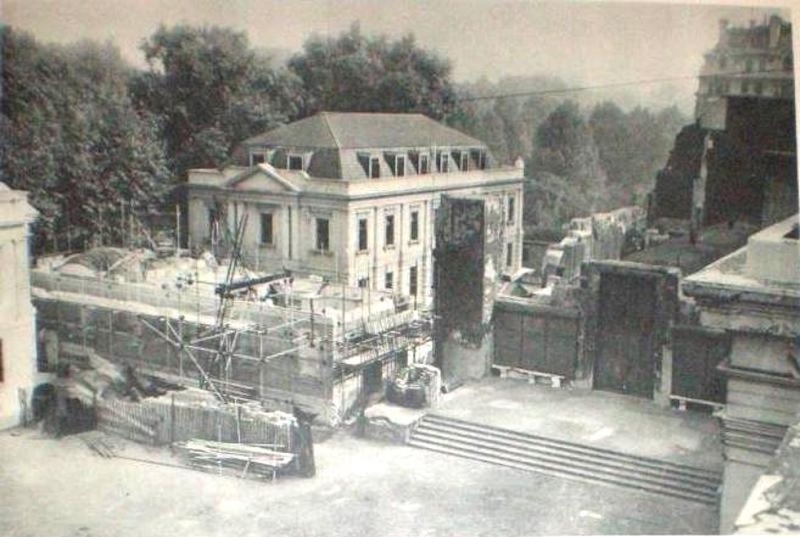 The War Office, however, recognised the value of this project and bought out the committee and took over what then became the army’s first married quarters outside barracks. The committee decided to use the money received from this sale to restore the interior of the chapel and the distinguished architect, George Edmund Street, was commissioned to prepare plans for the construction of an apse to form a chancel and re-design the chapel in the Lombardo Byzantine style. The chapel re-opened on 25th May 1879 and as more money was subscribed, further embellishments were added as memorials. Alabaster, marble, mosaics, terra cotta, stained glass and metal work were used to continue the improvements following the pattern set by the original architect and committee. Ironically, one of the last memorials to be added was to Dr. Dakins himself, who had worked so strenuously to have the chapel built. 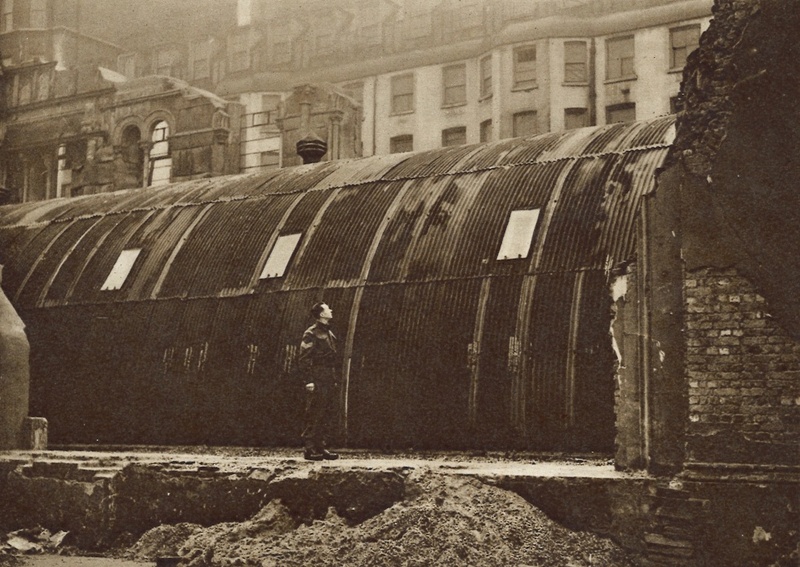 The roof was badly burnt by incendiary bombs in 1940 and other damage was sustained during enemy raids from time to time, but it was Sunday 18th June 1944 when disaster struck. At 11.10 am during morning service, the chapel was hit by a flying bomb which entered at the western end and exploded, killing 121 soldiers and civilians, including the Director of Music and five musicians from the Band of the Coldstream Guards. The chapel was completely destroyed with the exception of the apse, but the six silver candlesticks were unmoved by the explosion and the candles remained burning. 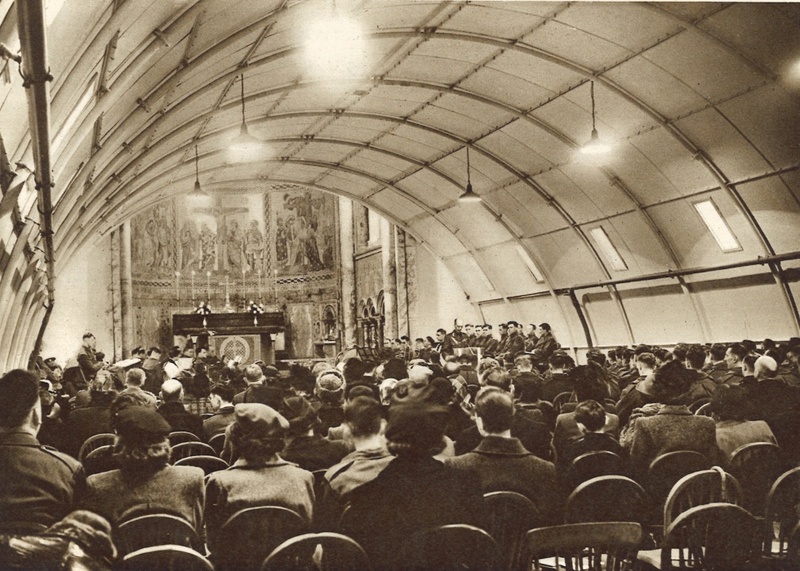 Despite wartime restrictions, a temporary chapel was erected in a Romney Hut attached to the undamaged apse and this was used from Christmas Day 1945 until 1962 when the rebuilding began. The entrance to the chapel from Birdcage Walk is via the cloister built as a memorial to those members of the Household Brigade who died in the Second World War. It was the work of a former Grenadier Guards officer, H.S. Goodhart-Rendel, a one-time president of the Royal Institute of British Architects, and was opened by Her Majesty The Queen in 1956. It was intended that this would eventually become an entrance to the chapel although pre-dated the designs for the re-building. The Cenotaph containing Standards and Colours of the seven regiments, originally stood on a wall at the end of the cloister but was later moved to its present position on the south wall so as still to be seen from the cloister. The cloister contains the seven regimental Rolls of Honour with the names of all those who died while serving in the Household Brigade between 1939 and 1945. There is also a book showing those who were killed in the destruction of the chapel in 1944. 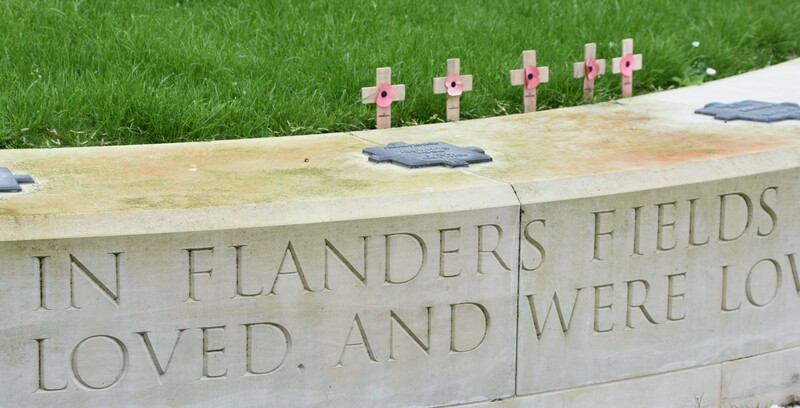 The Memorial Garden ‘Flanders Fields 1914-2014’ was a gift to the British people from the Belgians and was an initiative of the Guards Museum. Very fittingly, the garden is sited directly in front of the Memorial Cloister which commemorates Guardsmen who lost their lives in the Second World War.The garden was designed to accentuate the existing architecture. 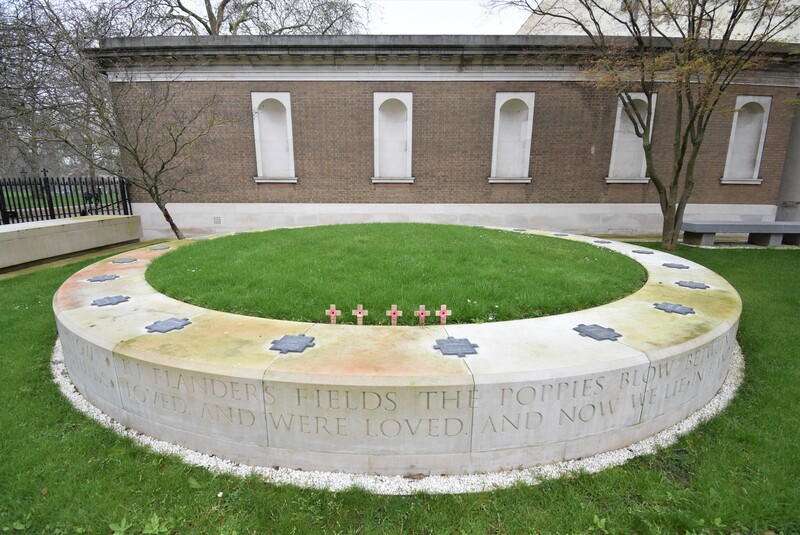 The raised circular bed stands for eternal life and also reflects the circular openings in the roof of the Menin Gate in Ypres, through which thousands of poppy petals are scattered on Remembrance Day. Around the outside edge of the circular wall, the poem In Flanders Fields written by Lieutenant Colonel John McCrae is engraved. This embraces the soil brought over from the seventy cemeteries in Flanders where so many Guardsmen found their last resting place, symbolising the return of fallen heroes. The sacred soil from Flanders Fields was brought over during special ceremonies in which the armies of both countries participated. The purpose of the garden is to provide a haven of peace where people can meet, read, relax or take family pictures after weddings and baptism services in the chapel. It contains a bench made from Flemish Bluestone and trees indigenous to the battlefields of Flanders. In front of the garden stands the statue of Field Marshal The Earl Alexander of Tunis. As well as being one of the great commanders during the Second World War, the Field Marshal served throughout the Great War, initially as a young platoon commander with 1st Battalion Irish Guards, and he saw action at the Somme which led to his appointment to the Distinguished Service Order. He might, perhaps, be rightly described as the most distinguished Guardsman of the 20th Century.